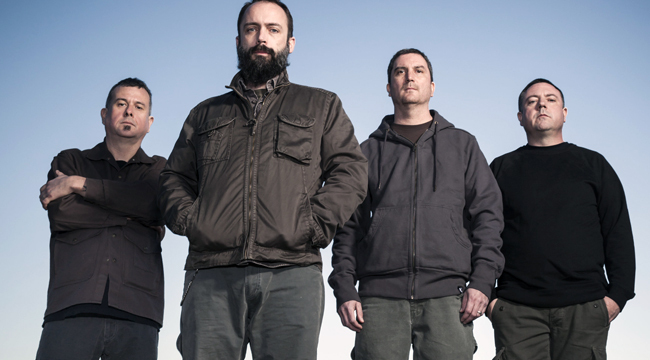 After 24 years, hard-rocking Clutch is finally getting its due. The band’s new studio album debuted at No. 11 in Billboard Top 200 and No. 1 on both the Rock and Hard Rock Charts. Prior to Psychic Warfare, the band released its tenth studio album, Earth Rocker, via its own label Weathermaker Music in 2013. That album entered the Billboard Top 200 chart at No. 15. The band’s mix of metal, blues and hard rock is truly singular, something guitarist Tim Sult discussed in this recent phone interview. You just returned from a European tour. What was the experience like? It was absolutely incredible. Quite a few people have been showing up to see us over there. Crowd-wise, it might have been the biggest headlining tour we’ve ever done. Because of the new album? We’ve been touring over there quite a bit more since the Earth Rocker album came out. We’ve had higher visibility there and that has paid off with the release of the new album for sure. The band formed in 1991. Did you have some sense then that you’d still be together in 2015? Well, I don’t think we were thinking in quarter century terms as that point. We were just hoping to be together for two years. Every time I think about it, I think it’s really a miracle. The 12-inch “Passive Restraints” got you some attention from labels. Were you surprised by the initial success? For sure. That was the first time we ever got played on the radio. We got to go on tour and play some real shows. That was where it all started. We went on tour and never came back. Would it have been the same if you put out it out today? I guess it depends on the song. We are putting out a two-song single for a record store day vinyl things. That will come out sometime in the near future. We put out a 7-inch a couple of years ago, but that was the first time we got radio exposure and national recognition. Columbia Records released the 1998 album The Elephant Riders. Back in the old days, we put out stuff on major labels. We have four albums that we put out on major labels. There were a couple of times where we got tour support and it helped us to get out there. Our early albums would have never gotten into stores if it weren’t for the fact that we were on major labels. We never had that much of a negative experience. And yet, from our first album on, we knew that if we wanted to do it and keep doing it we would have to depend on ourselves and not a record label constantly funding us or we would just drown in debt. Early on, we figured out how to be self-sufficient and pay for our own touring and make it all happen on our own. You don’t fall into a clear category. I imagine that was confusing for the folks at the major labels. I’m pretty sure about 97 percent of all employees at every major label we were on were very confused by what we were doing. The fact that we had an audience was what drew them to us. They would come to our shows and see that people came to our shows and knew who the band was and enjoyed the music. Looking back on it, our early music was even less commercial than the music that we make these days. 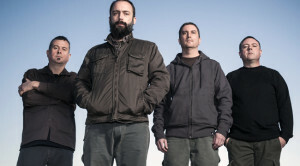 I understand the fact that most people at major labels were very confused by what was happening with Clutch. Why does your music come out the way it does? I think it comes out the way it does because we’re all involved in the creative process with every song and we’re contributing as much as we can. Even though Neil [Fallon] is the main lyricist, we work on the music together and we just start beating up riffs until their vocal friendly. Every song is a true collaborative process. What inspired you to want to play guitar? I got into rock and classic rock and heavy metal when I was a teenager. I was influenced by stuff like Deep Purple, Led Zeppelin and Iron Maiden. I liked the hair metal stuff of the day too, like Mötley Crüe’s “Shout at the Devil” and the first Ratt album and all that. The early Ozzy stuff with Randy Rhoads was a huge influence as well. Black Sabbath too. That was the stuff around in my era when I started playing guitar. That’s the era I come from. When hair metal was still metal. I never heard much blues until I was older and went on tour and my influences were broadened. Back then, there was no internet. You had to buy it or talk your parents into buying it for you. Talk about Psychic Warfare. When did you start writing the tunes? We started the songwriting process about a year after we ended the songwriting process for Earth Rocker. We recorded Psychic Warfare almost a year ago. We waited a little while to put it out. As far as the songwriting process goes, we did a lot more pre-production this time with the producer. We would write a batch of songs and fly him up from Texas to our rehearsal space and try to refine those songs as much as possible. We would forget about those five and try to write five more songs. We had several batches of songs we worked on. In general, we spent more time on the songwriting process than we ever have with any of our albums in the past. The recording was a lot easier this time. We had every single part that we knew we were going to record. We had demoed and done pre-production. When we got into the studio, we were more focused. We were more focused than we’d been on any other recording. On the older stuff, going into the studio was more loose. We would write material in the studio but this time we didn’t do that. “A Quick Death in Texas” reminds me of a ZZ Top song. Can you talk about what inspired it? Musically, that was the last song we wrote for the album. We finished when we were in Texas getting ready to record. I know Neil wrote the lyrics for it. I don’t know if you ever heard of the ‘70s band Captain Beyond. The original singer of Deep Purple ended up in the band. They have one or two albums that are totally awesome that you should check out. Musically, it sounds like a cross between that band and ZZ Top. They’re like a real heavy riff band. Is “Your Love is Incarceration” written about anyone in particular? I’m not one hundred percent sure. I don’t think so. It is a great metaphor. It is. It could be any relationship. “Doom Saloon” provides a great segue into the album’s second half. It’s the intro to “Our Lady of the Electric Light.” We just broke it into two pieces because we wanted to. It’s a bit different than anything we have done in the past. It has a Pink Floyd-meets-Americana vibe. It does kind of usher in the second half of the album. It’s a lyric from “Quick Death in Texas” and also what we call our jam room/recording studio in Maryland. We just call it the Doom Saloon. The band’s concerts have always drawn. Talk about the group’s fan base. It seems like we have a working class fan base. Just regular people. Over the years, these regular people have grown up and their children are into us too. There is a lot of gray hair at our shows but there are also more young people than I’ve ever seen. It’s amazing to look out on the crowd and know that a large percentage has never seen us before. That’s amazing that we can go out and play shows and so many people are seeing us for the first time. We don’t have to rely on getting the old people to continue coming back. They seem to do that anyway. What’s been the key to keeping the band together? We have always tried to move forward artistically. We’re always writing new material. We try not to repeat ourselves. We could have easily said, “We have so much success with ‘Passive Restraints,’ we should make every song sound like that.” The fact that we didn’t do that and that we just continue to play shows is important. We just haven’t gone away. As far as building a fanbase, that’s the most important thing. We’re looking forward to the next song, the next tour. We’ve never stopped. We’ve never been at a standstill and had nowhere to go. We’ve always had a place to move forward. It’s a minor miracle when I think about it and how long it’s been. It doesn’t seem like that to us. It doesn’t seem like 25 years. It just seems like part of life.